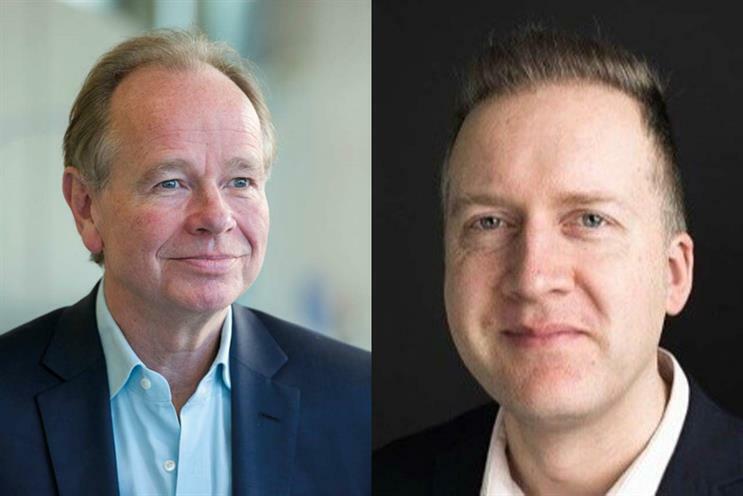 TSB's chief marketing officer, Nigel Gilbert, will retire at the end of September, with marketing director Pete Markey promoted to the top marketing job. Gilbert joined TSB in December 2013, shortly after the bank was separated from Lloyds. He had previously been marketing director at Lloyds TSB from 2006, then was named group marketing director of Lloyds Banking Group in 2008, following the acquisition of Halifax Bank of Scotland. Markey joined TSB last June, after a year at Aviva, where he was brand communications and marketing director. He was previously marketing director at More Th>n, chief marketing officer at RSA from 2011 to 2014, and then chief marketing officer at the Post Office until 2016. VCCP has promoted Sian Richards to the role of head of diversity and inclusion. In this new role Richards will support vice chairman Julian Douglas and VCCP’s on-going initiatives. Richards joined VCCP in 2012 and since then has worked with clients including Unilever, Macmillan Cancer Support and Transport for London. Independent of the agency, she set up female community ‘SHE PRESENTS:’ in 2017. Meanwhile Catherine Becker has left VCCP three years after it acquired her media agency AdConnection, in order to launch an as-yet undisclosed new business. Becker told Campaign she was already working on the business, which will not compete with VCCP but is relevant to the ad industry. UKTV has appointed Katherine Gandhi as marketing director. She joins from Diageo where she has been for the past ten years and will report to CMO, Zoë Clapp. Gandhi will be responsible for branding and marketing for the broadcaster’s 10 brands, including Dave, Drama and Gold, as well as its on-demand service, UKTV Play, managing a team of 20 marketers. Mike Buckley and Clare Leonard are joining Spotify as sales directors under recently appointed head of sales Rak Patel as it looks to strengthen its UK business. Buckley arrives next month from adtech company Loopme, and Leonard will follow in October from Oath. Claudia Nicholls Magielsen has left her role as marketing director at Weight Watchers UK after 10 months. Magielsen joined the slimming brand last October after a six-month stint at Oystercatchers, where she was a strategic marketing consultant. The company is looking for a replacement. Netflix has raided Facebook and hired Rachel Whetstone as chief communications officer. Whetstone joins the company after a year at Facebook, latterly as VP of corporate comms. Her portfolio at the social media company initially included WhatsApp, Instagram, and Messenger, but was expanded to a lead corporate comms role earlier this year. Paul Domenet, the former Saatchi & Saatchi creative director and founder of Johnny Fearless, has become a partner at Free The Birds, five months after the design and communications agency unveiled its new name and brand. He continues in his role of communications creative director following the appointment. Influencer marketing platform Tagger Media has appointed Hannah Brookman as managing director of EMEA. Based in London, Brookman will oversee the company’s expansion into the UK and European markets. She was previously senior director of international sales at LoopMe. Abbott Mead Vickers BBDO’s group chairman and chief executive Cilla Snowball has been named chair of the Private Sector Council supporting the government’s GREAT Britain campaign, which promotes the UK as a place to invest and supports companies to export.